Proteins | Infonet Biovision Home. Proteins are one of the most important nutrients in your body and it is essential in everybody's diet. 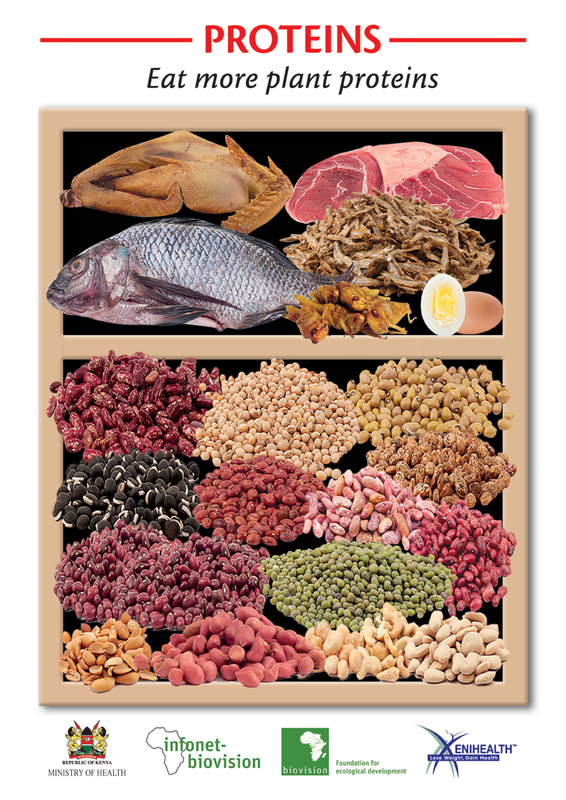 We need proteins for; growth, tissue repair, immune function and it's essential in making enzymes and hormones. Your skin, muscles, your organs, and your immune system are made up mostly of protein. When we eat foods that contain proteins, they are broken down into simple units called amino acids. Some amino acids are essential which means we need to get them from our diet, and others are non-essential which means that your body can make them. Your body uses the protein you eat to support many specific important roles in the body. Choosing healthy protein choices and not consuming protein in excess have many health benefits, including reduced consumption of animal proteins and saturated fat and cholesterol. Feeding the world's population - which keeps growing and, on average, getting wealthier- is not (just) about quantity. The important question is where and how we grow more food, and where we make other changes. Yields need to be increased in regions where they are very low right now, due to poverty, lack of resources, soil degradation, and the inadequate use of water. In other parts of the world, we need to reduce meat consumption, the use of croplands for bioenergy, and food waste. Right now, corporations and food policy makers are stubbornly sticking to an increase in yields as the global goal. This obscures the real challenge - we need to rethink how we use the food we are producing - right now, and in the future. In a better food system, ecological livestock systems would make use of the agricultural land and resources not required for human food needs, and at the same time drastically reduce the amount of animal products we produce and consume globally. Protein from most vegetable sources is considered incomplete because they lack one or more essential amino acids. You can also obtain complete proteins from incomplete protein foods by consuming them in combination, for instance rice and beans. Rice contains low amounts of certain essential amino acids, however these same essential amino acids are found in greater amounts in dry beans. Together, these two foods can provide adequate amounts of all the essential amino acids the body needs. Vegetarians and Vegans can also get all their essential amino acids by eating a wide variety of protein-rich vegetable foods. 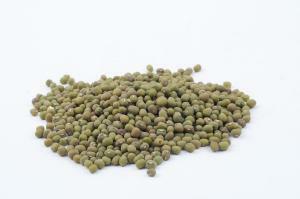 Plant-based foods include; legumes (peas, green beans), cereals, beans, pulses, grains, nuts, seeds, soya products. The good news is that you don't have to consume all the essential amino acids in every meal, as long as you consume a variety of protein sources throughout the day, your body will grab what it needs from each meal. Protein from animal sources are considered complete proteins, because they contain all the essential amino acids. Animal sources include; meat, poultry, fish, omena, milk, eggs, and cheese. Experts advise to not consume more than two servings animal protein (fish, poultry, meat) a 100-180g and two servings of eggs per week per person. If you do consume animal proteins, take care that you take organically produced products and free-range eggs. 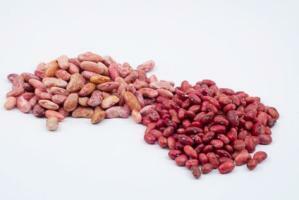 Protein intakes in our diets are a very important requirement for the growth and sustain life. The amount of protein required for a person varies depending on a number of factors; weight, age, health condition, physical activity. Growing children and pregnant & lactating women require more protein per unit weight than adults in normal condition; hence they should be in a positive protein balance. This is because, growing children and pregnant women actively gain muscles, bones, tissue and blood therefore the recommended intake is higher. Protein requirements are also higher during recovery from illness. The recommended dietary allowance (RDA) for adults is 0.8 grams per kilogram of healthy body weight per day. For infants and children, the RDA is slightly higher. Protein is a fundamental component for organ function and should be provided in adequate amounts. Protein energy malnutrition (PEM) is not only common in children, but also in adults, especially when associated with disease. In infants and young children PEM impairs brain function and development, impairs immune function with increase in the risk of infections. Children deficient in protein show an array of symptoms that include: retarded growth, loss of hair and skin color, slow healing of wounds, poor digestibility, diminishing of blood protein, draining of fluid from blood (edema), liver damage, and poor immunity. Consumption of diets rich in animal protein have been associated with risk of hypertension and cardiovascular diseases as they tend to be rich in saturated fats, which are linked to raise blood cholesterol levels. Substituting vegetable proteins for animal protein has been found to improve blood lipids and decrease heart disease mortality. High intake of meat has been associated with increased risk of certain types of cancer; cancer of the colon, breast, kidneys, pancrease and prostate. When protein intake is high, calcium excretion increases, which may produce calcium losses significant enough to compromise, bone health. Eating a variety of protein containing foods will ensure that you get all of the amino acids you need and in sufficient amounts. Try to exchange as much as possible animal proteins by plant proteins. Some proteins are excellent sources of healthful fiber, vitamins and minerals, such as beans, nuts, and whole grains while some protein contain lots of unhealthy fat, like when you eat marbled beef or processed. Fish and poultry are one of the best choices for non-vegans and you should select leaner cuts when you consume red meat, such as beef, pork or lamb. If you like dairy products, skim or low-fat versions are healthier choices. Reduction on highly processed carbohydrates and increasing protein intake help improve levels of blood triglycerides and HDL, and so may reduce the risks of developing cardiovascular diseases. It may also make you feel full longer, consume less during the day.